I seriously don't think there was a concerted effort to sink your original thread, I really hope it was no "tactic". Folks are allowed to disagree and they don't have to say much. I'm not sure I see why one has to be accused of such. Clearly you are smitten with the X-T1 and if you are after what it does, this is good news. But the point is well made by many - this isn't any more pressure on Sony than prior and I don't see it putting them off their game at all. The few incrementally improved features of the X-T1 don't add up to enough for me. Fuji's eventually going to have to get off the 16Mp sensor to truly compete.
" The few incrementally improved features of the X-T1 don't add up to enough for me. Fuji's eventually going to have to get off the 16Mp sensor to truly compete." Well, that's only me I'm talking about. The need for more megapixels is an important factor in the carefully nurtured culture of the NEX-HUMP forum, and 16 mp may really be sufficient for an APS-C sensor. Uncrowded larger pixels mean less noise than for example, a 16 mp sensor in an M43 camera. We want to think so. But then look at the GX7 - smaller, lighter, feather weight lenses. Why buy a heavier, bulkier camera if the resolution is basically the same? What I'm saying is that pixel size has nothing to do with overall noise (and DR). Noise is a function of the overall design of the sensor. Read noise is the contributing factor and the D800 is a great example - very small pixel pitch, very low noise. The two are not inextricably linked - this is a myth. Pixel crowding does creat noise and I got tired of posting the proof of this a long time ago. Of course there's the whole issue of enlargement etc - I'm not arguing that point. But the read noise of the EM5 goes below that of the D600 in many places. And yet, it's pixels are considerably smaller. What does matter to me is that as the frame size decreases, the required resolving power of the lens has to go up to maintain the same sharpness no matter the spatial resolution of the sensor. Larger sensors can allow some relaxation of the resolving power and therefore more attention to other factors that equally contribute to higher image quality than smaller sensors. 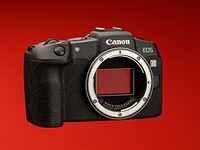 This being said, APS-C and Full Frame are hardly different vs. each other. Looking at frame size isn't as useful as looking at read noise, dynamic range and overall resolution. It's completely possible that a 16MP M43 could make images that best the Fuji @ 10MP. In order for Fuji to keep Olympus from clipping their heels, they need to increase resolution. I was interested in the XE1 because it was small and light, albeit the lenses were kind of heavy. - They are built for QUALITY. Weight and quality are not particularly linked. Leica lenses are very small and light and yet the cover full frame image circle. Read Roger Cicala's article about this. But now, the XT1 is here and it's...huge. For that kind of bulk and same weight, I think I would rather the A7. I just looked it up and it surprised me; it's about the same size as the A7. But then, so is the E-M1, The Olympus M43 camera. This is what you get when you build in the HUMPED body-style. Hopefully the upcoming NEX-7 replacement camera will be smaller and lighter. Agreed. Maybe people have related that they want some bulk and heft? It all comes down to what you value. I don't value an extra 5 milliseconds AF speed. Design and execution. And this is just ME thinking. The Fuji might be better over-all than your A7. We shall see. In AF, sure. But not in image quality. One of the continuous unrelenting myths of this forum is the supposed huge inferiority of the M43 cameras. Since Joringo has shown up, I'd love for him to offer more comments on all this.